Having an emergency food storage section in the basement should be one of the requirements of every household, no matter how many people are living in it. Even though we can’t control natural or man-made disasters, there are ways to be better prepared for an emergency situation when it comes to food. Stocking up on food in advance, so that you don’t have to worry about providing for your family, is essential, not something you should think about, but essential. If an emergency situation occurs, people without food will be the first to die, either through competition for available resources or through starvation. How Do You Prepare In Regards To Emergency Food Storage? Have a plan. When an emergency occurs, there is a very good chance that you are not going to be able to pick up the phone and ask for help. There is even a chance that you are not going to be able to come to this website and look for the answer. The truth is that if the grid goes down, you are going to be left on your own, and without a plan you will be left to the mercy of the people who have a plan. Therefore, knowing what to have stored as far as food is concerned, and how long it is going to last is essential. How long can freeze-dried food last? How should you store dehydrated food to extend shelf-life? What kind of food can last for months or years? If you don’t know the answer to these questions, then you are not prepared and you need to gain that knowledge. What Kind Of Food Should You Store? There are two main staples of food, which will last years in the right conditions: freeze-dried and dehydrated. It is important to know that not all food is going to taste good dehydrated. And not all food is going to taste good freeze-dried, and even though you will be in an emergency situation, you will want your food to taste good and offer you some satisfaction and comfort in an emergency situation. You have to store your food in the right conditions as well. For instance, freeze-dried and dehydrated food can last for up to 25 years in the right conditions, but if you store them in the wrong conditions you will not get that kind of shelf life. Most of us can barely store fresh food in the right conditions (think of vegetables going bad within a week) so this is important knowledge to have in case of an emergency. Can Food Really Offer Nutrition For Energy And Life After It Has Been Sitting For Years? You may be wondering how you get nutrition from food that has been sitting for years in your basement. This is a valid concern! We have all learned that the longer food sits the less nutrition it has. But the truth is that if you have a plan, and store you food in the right temperature and in the right packaging, your food will retain its nutrition for years to come. 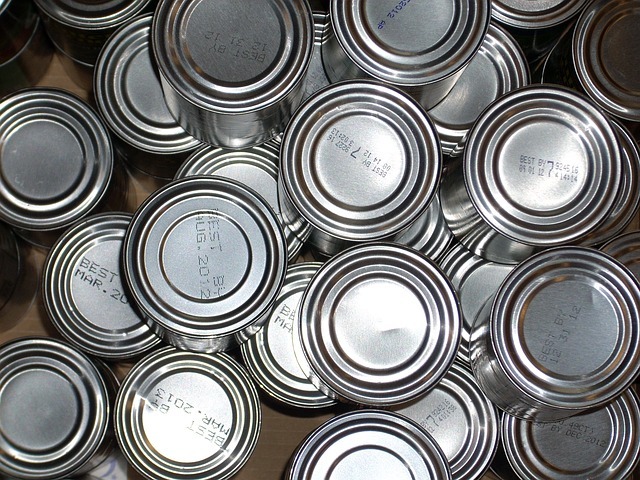 You can keep fruit, vegetables, dairy, and meat in your emergency food storage if it is stored properly. And, it will not taste like food that has been sitting around for years! This can be hard to imagine, but the truth is there is a science behind making food last, and with the right knowledge and storage you can be eating delicious and healthy food for years to come. Not only can you store separate foods such as vegetables and meat, but you can also store meals such as pasta, soup, and breakfast foods. These meals will taste just as fresh as if you were to make them right now! If there is one thing that you will want in an emergency situation, it is food. The truth is that you can store delicious and nutritious food that will feed you for up to a year, and you can store it safely for years in the right conditions. This means that if you are not doing so right now, you need to find out what kind of food you can store, how you can store it, and start making your emergency food storage plan right now. If you wait it could be the difference between life and death. Whittling can be very relaxing. And super important in a survival situation. If you’re into that kind of thing, check out my recommendation on the best knife for the job. If you’re out camping, there’s no need to have uncomfortable shut-eye! Read this article for the best outdoor cots. Some of the best memories are made in the outdoors. If you’re in the market for a new camera that’s fast and affordable, check out my review of the sony AR7 II. Next: Emergency Preparedness Kit: What Do You Really Need To Survive?